For many of us the holiday season is already over. IRF Geneva is gearing up for a very busy autumn, with many events and conferences ahead. You are cordially invited to participate in any of the events marked on the side bar. You find the relevant registration documents on the website. 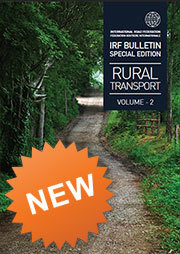 The Rural Transport Bulletin Vol 2. is now published. You can download it from our website. Most of you have received a paper copy. 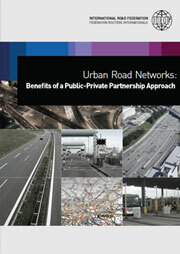 Would you wish to receive additional copies, don’t hesitate to contact Lydia Scotto at info@irfnet.org. 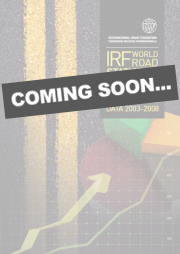 We are already preparing the next IRF bulletin which will be dedicated to Environment & Climate Change. We hereby invite you to submit your contributions to the IRF Bulletin on Environment & Climate change. Don't miss this opportunity to highlight your ideas, findings, best practice and research in this widely read and influential publication. Articles should be around 500 to 1,500 words in length and include graphs and photos, as well as logos and other illustrations as appropriate. More information can be found on the article specifications. They should be submitted to the IRF Geneva office by 30 August 2011. Advertising in the IRF Bulletin represents a valuable and highly visible opportunity to make your organisation stand out, both as an active IRF member and as a dedicated supplier of goods and services to a large, targeted audience of regular readers. We, therefore, kindly ask you to consider placing an advert in the Bulletin on Environment & Climate Change. Advertise your environmentally friendly product in this highly appreciated publication. 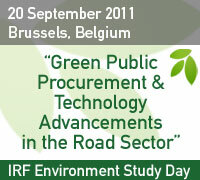 For further information, please contact Lydia Scotto at info@irfnet.org. We look forward to welcoming you to our autumn events and to ever closer collaboration! The IRF Geneva has negotiated a special agreement with Roads Australia that grants individual IRF membership to each of our members at no extra charge. The deal means RA members will be able to access the considerable technical resources and research databases of the IRF. With almost 300 experts from all over the world already expressing their interest in joining, the new Group of Experts on Road Safety seems destined for an auspicious start as it rises to the challenges posed by IRF's first Biennial Focus Theme. The IRF member, SARF (South African Road Federation) invited to a highly successful conference looking at road safety initiatives towards a Decade of Action. The challenges of road safety in South Africa will be addressed with stronger and more integrated prevention programmes with the goal of reducing road deaths in South Africa by 50% by 2020. Led by Nadia Balgobin, Ghana Project coordinator, Oshani Perera and Sam Colverson from the International Institute for Sustainable Development (IISD), a Ghanaian delegation visited IRF Geneva in May 2011. The International Transport Forum has underlined this year the importance of focusing transport policy on citizens and communities, all of whom are directly affected by the benefits and impacts of transport use. Ministers from theInternational Transport Forum’s 52 member countries, prominent business leaders, top academics and representatives of civil society have gathered in Leipzig, Germany from 25 to 27 May 2011 to debate the theme “Transport for Society”. The Israel National Roads Company is organizing an international professional networking event to unveil and present the large-scale transportation infrastructure projects led by the company. Barry Gilbert-Miguet has been involved with IRF over the past 2½ years as an external editorial and communications consultant. He now joins the permanent team at IRF Geneva as our new Road Safety Project and Communications Manager. In his new role, Barry will henceforth assume responsibility for all of IRF Geneva’s Road Safety activities, including notably support for the new IRF Group of Experts. He is a seasoned project manager and brings to the job extensive experience working with a number of high-level individuals and organisations. He looks forward to the challenges of supporting and promoting IRF’s strong commitment to the objectives of the UN Decade of Action on Road Safety. Maria Novikov, who joined IRF Geneva in 2007, is currently exploring new avenues for her future career development. During her time with IRF, Maria was notably responsible for the Working Group on Safer Roads, acted as coordinator for gTKP and represented IRF at many events. Sandra Costa-Marini, who assisted Susanna Zammataro on Environment issues, and also served as the main contact point for the logistical arrangements of IRF events – including, in particular, the Senior Road Executive Programme of Birmingham University - is also moving on to pursue new career challenges. We wish them both every success and fulfilment in their future activities. Skyblue is a safety & road furnishing company in Nigeria. Its technical base an foundation was laid by well qualified professionals, and is to be a pace setter in the industry, taking standard from European orientation. 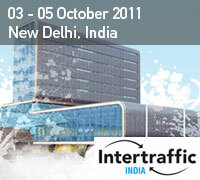 © Copyright International Road Federation 2011. All rights reserved.